Billy Durney from Hometown Bar B Que was cooking on his Lang BBQ Smoker at the Big Apple BBQ!!! 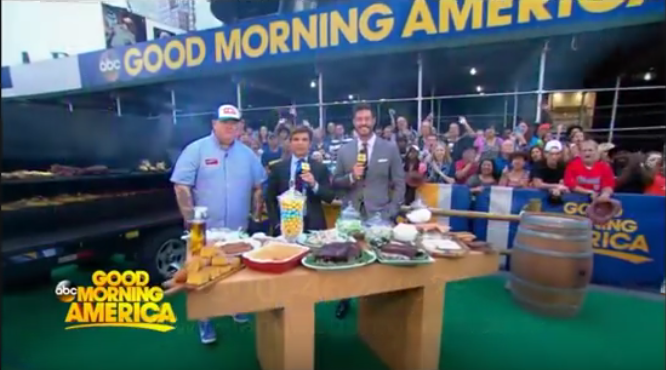 Billy Durney cooking on his 108 Lang BBQ Smoker on Good Morning America! !